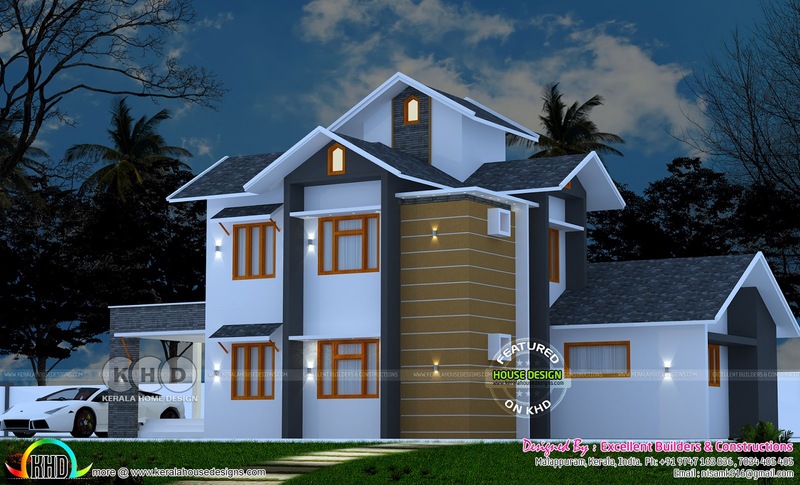 Showcasing a 2218 square feet (206 square meter) (246 square yards) 4 bedroom mixed roof home plan. Design provided by Excellent Builders and Constructions from Malappuram, Kerala. First Floor Area : 644 Sq. Ft.
Total Area : 2218 Sq. Ft.
0 comments on "August 2018 home designs starts here"